No surprise, but Deadpool's huge right now and it seems that the next one to follow his path in the Fox/Marvel universe is going to be Cable. As good a moment as any to take a look at the sales figures of their comic bromance titles, I thought, expecting this to be a pretty much straight forward affair. 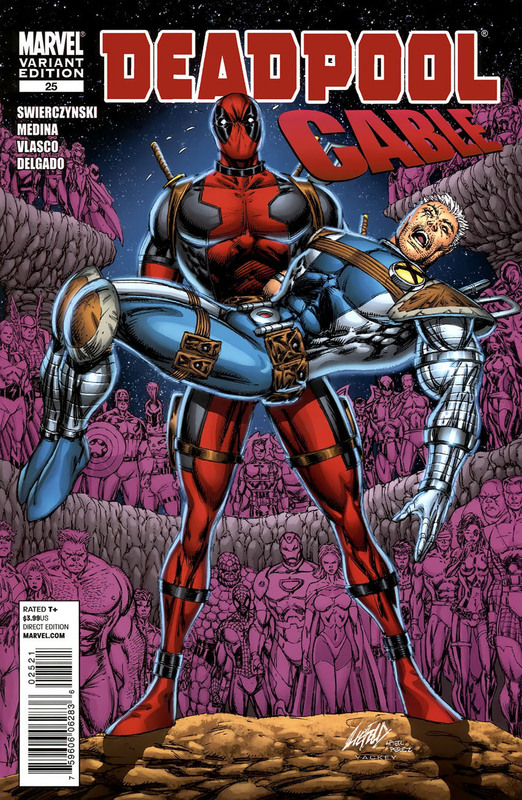 There was a Cable & Deadpool series that ran for 50 issues and then a couple of other issues of a Deadpool & Cable series (#25 and #26) that served as an epilogue for Cable's 2008 series. 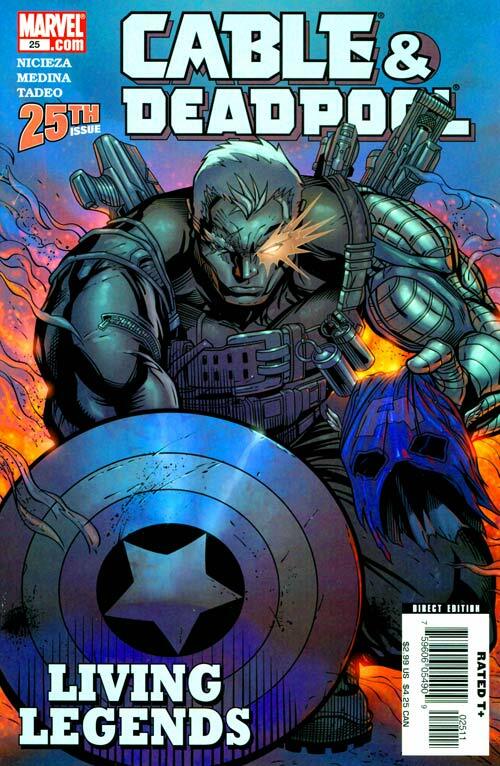 #25, still under the Cable series, was published directly after Cable #24 as an end to the series. #26 was published almost a year later because it's Deadpool and everything Deadpool related is really crazy and meta. While I did expect for those 2 issues to have low print runs, I couldn't imagine a variant of one of them would feature on the #1 spot, but I really do think it has huge potential considering the numbers. 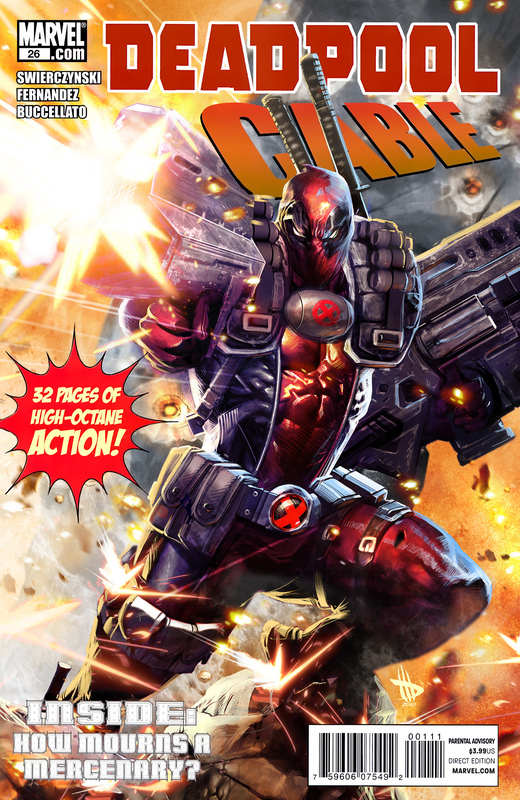 Rob Liefeld cover featuring Deadpool and Cable. A characteristically funny swipe of Crisis on Infinite Earths #7 by George Perez. While the book had an OK print run (38,424), the fact that this is a 1:25 variant, it would put it under 2,000 copies, probably a lot closer to 1,000. If the numbers I am working with are right, this cover should be on fire, and yet a copy went on eBay for less than $20 recently. The Cable & Deadpool series had a couple of low points during the run, this being the issue of the whole run that sold the least. To avoid having the top 5 become just random issues of this series, I decided to include the print run for the whole series below, but look out for the two points at which the series was at its lowest (mid-20s and mid to late 40s, the original 4th and 5th places were going to be #23 and #49). Kind of a cool cover, so who knows why this issue in particular was the one who made some people go “not this month!!!!”. Just a few more numbers for a bit more of perspective. 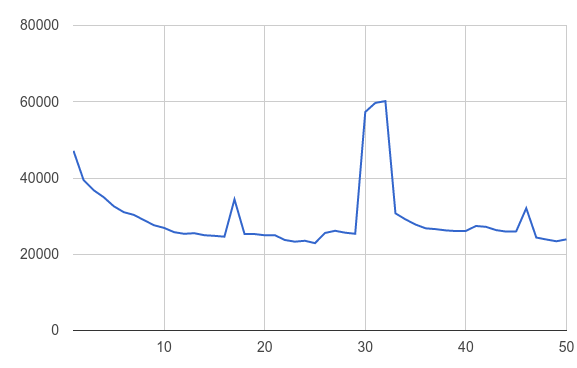 The peaks are pretty self-explanatory: #17 House of M, #30-32 Civil War and #46 is the zombie variant. So yes, crossovers and variants do seem to work for a few months and that's why publishers do it. All copies of the Cable #25 (DEADPOOL CABLE VARIANT by LIEFELD) Have vanished from every place that I knew had a copy on eBay and other stores. Some sold for $50.00 plus shipping. Cable #26 is available pretty readily because you were 100% correct, people avoided it. I’d pick both these up. Cable and Deadpool #25 ok too. Your information is inaccurate. “1:X” are DISTRIBUTION ratios, and ARE NOT tied to the print run. Therefore, saying “X book had a print run of 30,000 copies, therefore a 1:100 had only 300 copies” is wrong. Also…the numbers from Diamond are SOLD copies, copies SOLD to North American accounts, NOT print numbers. And, they are ESTIMATES. Your numbers also don’t account for NEWSSTAND copies. Timber72, you do bring up some interesting points. Unfortunately, as we don’t have official print run numbers (and you probably know) the Diamond numbers are the only thing we have as an indicator. I agree that it’s naive to think Marvel would publish 326 copies of a specific variant, but again … everything we have to go by. If you, or anyone else, has a way to get more accurate numbers, do let us know. As far as I know, Diamond UK’s sales represent, on average, a 10-15% of the US sales, so thought it might have an effect on general print run numbers, I don’t know that it would have too big an effect on the estimated variant numbers. In any case, I agree with you in the inaccuracy of the number crunching, but if we use the same numbers all the time, at least we have a proportional idea of an issue’s print run. Timber72, we all know this. It’s the only math we have to work with. It’s a kind of an unspoken thing, for those who read this site, that the variant print numbers that are discussed are inaccurate. The authors try to give a conservative number at best. No actual number is known for any variant.